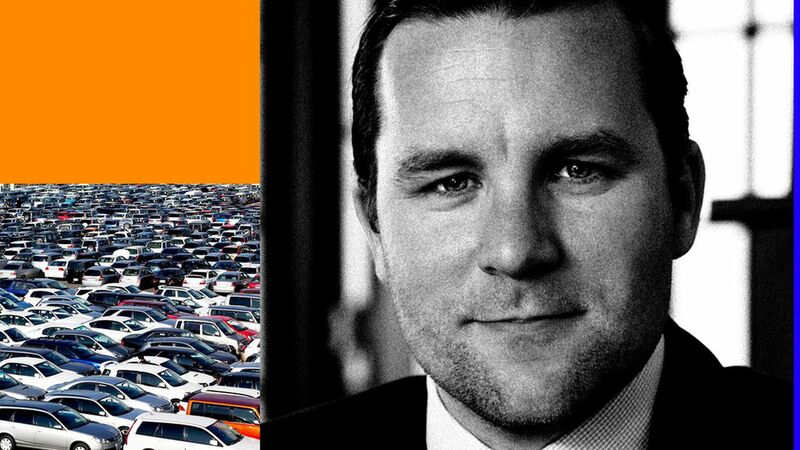 Venture capitalist Reilly Brennan believes that self-driving cars are coming faster than most people expect, but that the market doesn't have the best mix of startups yet. Too much: Companies selling dongles for car data. "There are a hundred of those and there should probably be three," says Brennan, who last year co-founded transportation-focused Trucks Venture Capital. There are also too many "Uber for freight" companies, he adds. Not enough: Startups working on decision-making systems. "There's around 24 of those companies; I would suggest there should be 125 to 200 of those companies." Also, driver monitoring: "There's a lot of people focused on external sensors that are shooting laser beams out, and trying to make a map of what's outside the car, and I would suggest that there's a huge opportunity for taking that same type of thinking but doing it inside the cabin." What is the most likely exit for these companies? Are they all going to be $1 billion exits? IPOs? Some of these technologies that are directly related to the supply chain are probably in line for acquisitions by other large supply chain companies like Tier 1 suppliers or manufacturers. I would suggest those exits are measured in the $50 million to $300 million range. Those tech commodities, which are related to decision making, vehicle-to-vehicle kind of communications and things that are super important in keeping a fleet in high utilization — those are really valuable to a fleet owner which might be sort of a higher level of M&A or potentially a small IPO. And then you have companies that are trying to build new categories of business in autonomy, for example [Trucks VC portfolio companies] Starsky or May Mobility, I think the idea for those companies is they would become public companies." Does that affect how you invest? For some companies that have the opportunity to be really category-defining, we are less price sensitive. What will most impact the adoption of self-driving cars? Policy is really important in this space and there's a lot of enthusiasm from lawmakers. There's probably not as much knowledge as there is enthusiasm so some of the lawmakers are actively engaging with startups. Sen. Thune being one, Jeff Brandeis in Florida who puts on his own autonomous vehicle conference. A lot of the narrative has been "Silicon Valley is gonna win this one and Detroit just doesn't know what it's doing." I think people underestimate and overestimate unfairly on both sides. If you actually want to deploy a self-driving vehicle, the vehicle piece of it is really important for a number of reasons: People want to feel safe. Also, in the world of automating vehicles, utilization is really important. Kind of like with a Formula 1 car, you don't wanna waste time in the pits, you always want to be out on the road earning money. So vehicles that can execute on a really high-duty cycle, that are always on the road, are super durable, are really for the passengers make the experience really safe — that's an incredibly valuable part of an autonomous vehicle system.